The arrest warrant against AAP MLA Gulab Singh came ahead of Delhi CM Arvind Kejriwal's first public rally in Surat, Gujarat. As Arvind Kejriwal prepares for his first public meeting in Surat, a team of Delhi police has been sent to Gujarat to arrest Aam Aadmi Party MLA Gulab Singh. 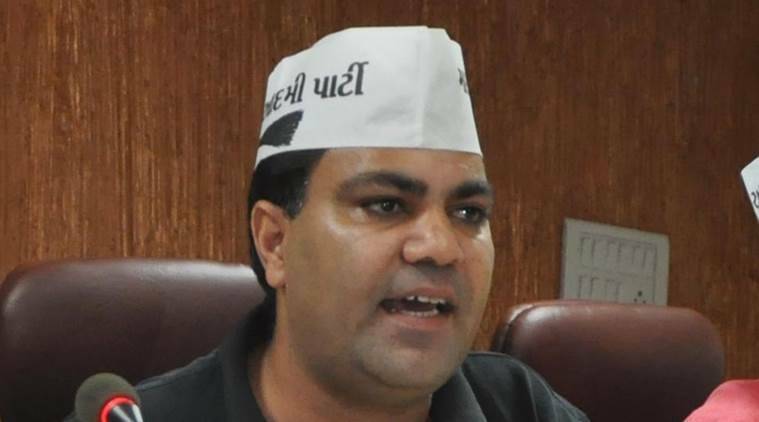 A non-bailable warrant had been issued against the Matiala legislator, who is also the co-incharge of AAP’s Gujarat affairs, for failing to join an investigation in an extortion case involving his associates. Singh’s driver was arrested in the same case last month along with an associate. Kejriwal too questioned the timing of the arrest on Twitter. “Just 2 days before Surat rally, Del police obtains Non-bailable warrant against our Guj prabhari, Gulab Singh in a completely false case. Will Gulab be arrested before the rally?” the Delhi CM had tweeted. On September 13, a case under section 384 (punishment for extortion) had been registered in the matter at the Bindapur police station. The FIR stated that two property dealers, Deepak Sharma and Rinku Diwan, had alleged that Satish and Divender, who work in the Matiala MLA’s office, and an associate, Jagdish, were extorting money from them. The report further mentioned that the trio had extorted Rs 2 lakh in two attempts, and were making a third attempt and demanded Rs 1.5 lakh. It has been alleged by the complainants that the extortionists came to them in a vehicle with a beacon that suspectedly belongs to Singh. On Friday, Delhi Police had arrested AAP MLA Naresh Balyan in an assault case. The Uttam Nagar MLA was arrested along with co-accused Mahaveer on charges of voluntarily causing hurt and trespassing. Acting on the complaint of former AAP volunteer, Henry George, Delhi police arrested Balyan and his associates for attacking George and issuing threats to his life on October 9.